He told Sky Sports: "Pressure does not exist, my friend, pressure does not exist. What pressure can the players feel? You have to play like a team, if you win: perfect. If you don't win you try next season. "We are privileged to be players or managers, involved in one team. They have to try to do their best. That is why I demand from them. But pressure is society stuff, there are many, many troubles around the world to think you have pressure." He added: "It was an incredible performance against a top team. The players were outstanding. "After Newcastle everybody was put in front of the mirror and we talked to each other and we accepted the reality and moved forward. "It's about being calm and then it's a lot of compliment to the players. Arsenal at home and Chelsea at home and Everton away is a tough, tough week and we did incredibly. "After three tough games in a week, playing the way we play with this intensity and desire, the players were outstanding. I say thank you to them, for what they have done." 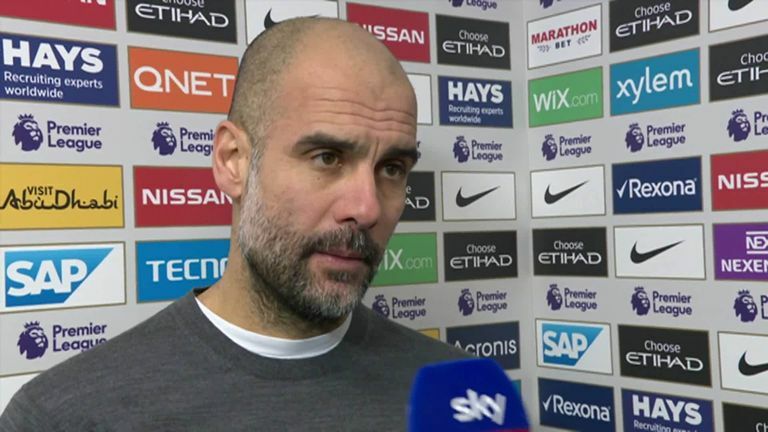 Asked if he was surprised about the player Aguero has become in his side, Guardiola said: "No, no, no, Aguero is a player that always was [in my mind]. "It was just about involving him in what we want to do. One player for himself is nothing in the structure of the team. And he wanted to help us. 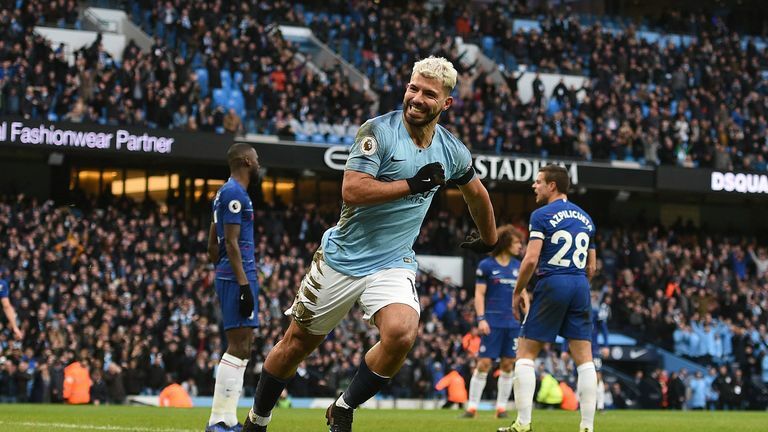 "We cannot forget Chelsea demand a lot of our pressing as they have a lot of quality, and Sergio sometimes was a little bit tired to do that, but of course in front of goal he is a special player." City face Chelsea again on February 24 in the Carabao Cup final at Wembley, and Guardiola believes the result on Sunday has made the task in two weeks' time harder for his side. He said in his post-match press conference: "The final of the Carabao Cup was tough, now it will be tougher. Because they are professionals and I know they will react and it will be tougher."